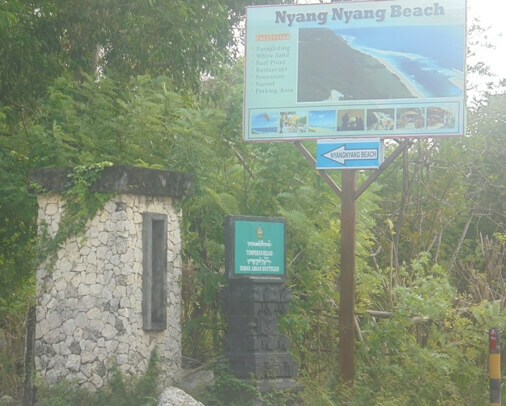 Nyang Nyang Beach is a beautiful, unspoiled white sand beach, and one of the most beautiful surf spots in Bali. 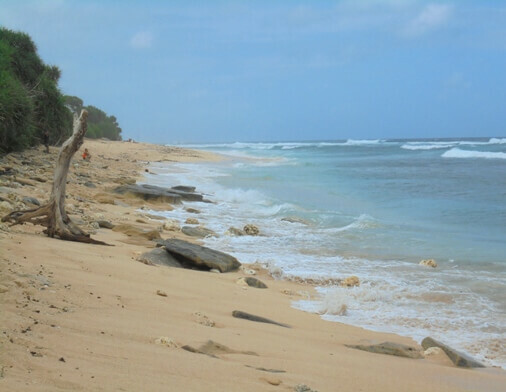 This surf spot is surrounded by high cliff, peaceful atmosphere, sea pandanus and other natural green vegetation. 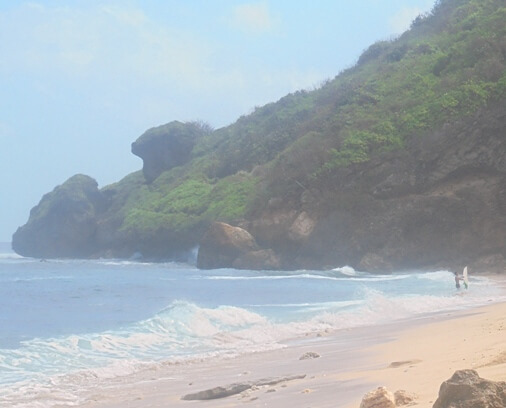 This beach is located at the bottom of jagged cliff, on the south-west of the Bukit Peninsula, in Pecatu Village, district of South Kuta, Badung Regency, Bali. 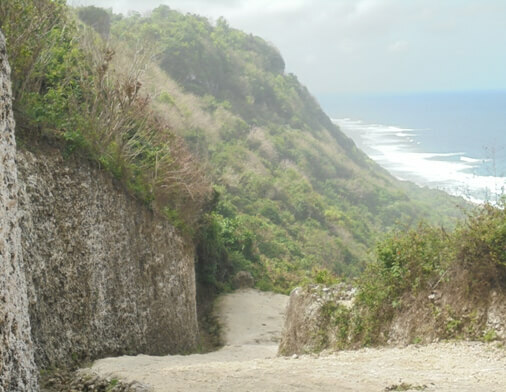 Access to the beach through a small road, located after the elementary school - SD No.3 Pecatu (left side of the main road), just before the bend. Many surfers come here to enjoy surfing adventure. This beach is still natural, a bit rocky, and relatively quiet. This may be due to a long trail and need more stamina especially when returning from the beach. 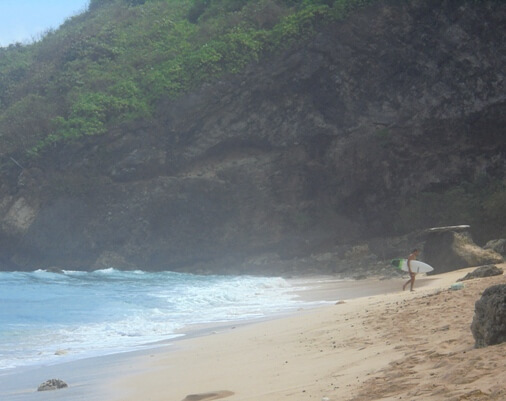 The best time to surf here is during the wet season (November - April). The reef is sharp, be caution! The best swell is around the mid tide, with more water in the channel. You can monitoring the condition of the waves after surf, while laying back under the tree and enjoying stock, accompanied with peaceful atmosphere and cool sea-breeze. No food stalls or "warung" on the beach. However, there are merchants who deliberately come down to the beach to sell snacks and drinks carried in a simple basket, but not always certain. It is advisable to prepare your water and supplies.